We are a group of local Home Inspectors and Energy Assessors who formed an independent company back in July 2007. 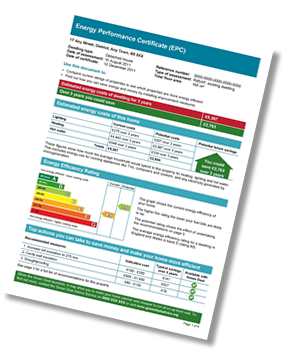 We are dedicated to offering a professional and high-quality service for the supply of Energy Performance Certificates (EPC’s) throughout Shropshire, Staffordshire, the West Midlands and Worcestershire. Mercian Property Inspectors (MPI) provide Energy Performance Certificates and floor plans for estate agents, solicitors and homeowners at highly competitive prices. I recently contacted Mercian Property Inspectors to produce my Energy Performance Certificate and I was really impressed with them. I couldn’t believe how efficient they were. I would recommend Mercian Property Inspectors to anyone who wants a speedy, hassle free service. I have used Mercian Property Inspectors to produce EPC’s for my rental properties on many occasions. They provide a prompt and professional service and are always willing to go that extra mile. I would definitely recommend them. Mercian Property Inspectors provide our agency with a first class EPC service. It is important that we have complete confidence in the people carrying out work on our behalf and MPI never fail to impress us by their speed of response. Thank you for all your hard work! Our clients always comment on how courteous and considerate the MPI inspectors are. I was really impressed when MPI produced my Energy Performance Certificate. They were very helpful and were only too happy to answer all the questions I had. They also emailed me when each stage was completed so I felt fully involved through out the process. Thank you for your efficient production of our Energy Performance Certificate and such nice people too! In my view MPI are definitely the best energy assessors I have used. They frequently produce EPC’s for us and I cannot fault their service. Reasonable prices, together with a professional, efficient and friendly service. I would not hesitate to recommend them. We have always used MPI to produce the EPC for the properties we sell and let. We have always found their service totally reliable, their staff courteous and knowledgeable and would have no hesitation in recommending their services. We have had a long association with Mercian Property Inspectors and can highly recommend them for their efficiency and professionalism. We are proud of our prompt and professional services and are happy to answer any questions you may have relating to Energy Performance Certificates. Call us today on 0845 652 8842 (local rate), alternatively click here to complete an enquiry form.